When spring is already here, it brings all nature presents, and one of them is the morning dew. It is a magnificent gift of Mother Nature which modern people do not know its healing powers. In recent days most of us just admire this natural phenomenon but in the past, it was a well-known remedy for many diseases. Our ancestors used these pure drops to heal their bodies, prolong their life, and keep their skin younger. It is time to reconnect with the earth energies and walk barefooted thus to feel the freshness and pleasure of contact with these amazing pearls and how they act. What is the morning dew? In fact, this is the liquid excreted from the plants during the night, which absorbed the purest energy from the moon and sun. It also contains essential enzymes, pollens, ozone, and crystal water combined in a chemical compound. What a simple formula which is the panacea for many unhealthy conditions. Mainly its chemical containing depends on the plants produced the crystal drops, which have a mysterious calming effect. Every herb can heal through its dew, such as chamomile, dandelion, clover, because of direct influence in the body through the skin. In addition, being in contact with them, our body is synchronized with the earth vibes. It is believed the drops of dew have the power to recognize every unhealthy condition of the body and repair it. How to gather the drops of dew? One of the most important things is the place where you want to have a walk and the purity of the plants' area there. 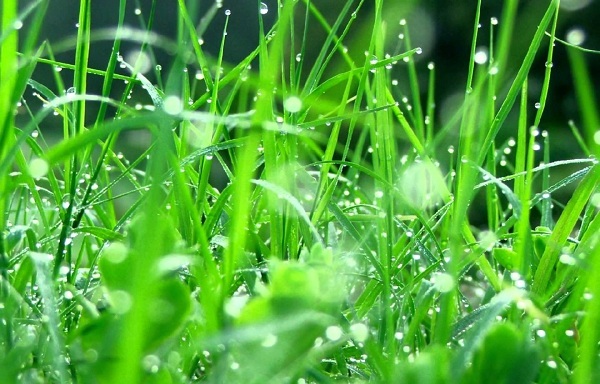 Make sure the drops of dew are not polluted or infected with dust and chemicals. The best time for this activity is early in the morning to ten o'clock. You are likely to get a dew walk in the nearest green area and enjoy it while your feet are wet. Every drop is valuable and could be stored for seven days in a quiet place with the same temperature as outer. It will be necessary a small glass bottle or jar with a wide opening. If you are patient, you can slowly shake the leaves and blooms of the plants and fill up the bottle. This liquid could be used for drinking or smearing the body. Also, you can use a cotton cloth to gather the drops, and then gently rub your body while it is wet. Health benefits of morning dew. Perhaps, there are many other routines that can improve our well being, and nothing will cost to try this, too. You can make a step to your better health with a refreshing walk in the morning dew.